Gizmodo has reviewed the new Samsung Galaxy Tab, the first ‘iPad rival’ tablet to hit the market. 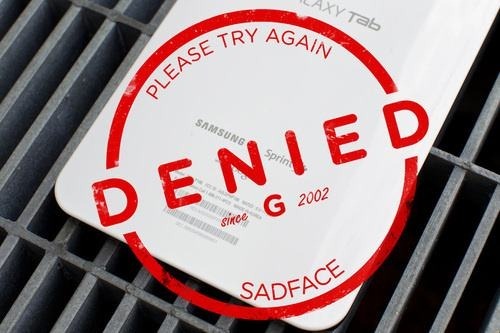 To say that Matt Buchanan, Gizmodo’s reviewer, isn’t impressed with the Galaxy Tab is a huge understatement. The review title dubs the device a ‘pocketable train wreck’. This thing is just a mess. It’s like a tablet drunkenly hooked up with a phone, and then took the fetus swimming in a Superfund cleanup site. The browser is miserable, at least when Flash is enabled. It goes catatonic, scrolling is laggy, and it can get laughably bad. 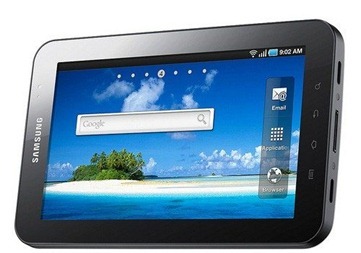 RIM – makers of Blackberry devices – have announced their upcoming tablet device, called the Blackberry PlayBook. This will likely be seen as one of the primary rivals for the iPad when it is released – which is expected to be in ‘early 2011’. Watching the promo video for the PalyBook, I have to say that the more I see of potential iPad rival devices, the more this feels like deja vu with the way all the other smartphone makers rushed around desperate to copy the iPhone for the first couple of years after the original iPhone launched. Kevin C. Tofel has a great post up at the GigaOM site where he provides odds for the success of three of the latest, greatest iPad rivals. Success is very relative in this case – with it being defined as selling one million units this year (against predictions of over 12 million iPads sold this year). In his view, none of the three current contenders have great odds, though the Samsung Galaxy Tab (shown above) is given the best chance of success – with odds of just 4-1 *if* it is priced competitively.